STEAMED, URESHINO GREEN TEA (10%). 70 PROOF. THAT EXPRESS THE SPIRIT OF SAGA. We take great pride in celebrating the local harvests and flavors of Saga Prefecture. As shochu can be distilled from a wide variety of crops, we present a series of rare shochus distilled from seasonal ingredients, sourced from nearby farms. Introducing the new Mizu ‘Green Tea’ Shochu. Grown in the warming spring and picked in the first week of June, the green tea offers a rich, bold, fragrant twist on our traditional barley shochu. The harvest of the green tea and the two-rowed barley occur simultaneously in late spring, and we distill this shochu in very small batches only during that short seasonal window. In addition to Green Tea and Lemongrass, look to the future for our fall and winter inspired shochus. Yabukita green tea leaves and flower in Ureshino township, Saga Prefecture, Japan. DISTINGUISHES SHOCHU FROM ALL OTHER SPIRITS. Production begins with the intricate preparation and then fermentation of our ‘black koji rice’. Locally grown rice farmed near the towns of Arita and Imari is meticulously polished to a fine pearl, steamed and coated with a microbe called black koji, which imparts unique flavors, distinctive aromas, and helps to break down starches into sugars. The black koji is given time to propagate over the steamed rice, and must be tended to by the koji master night and day. After 48 hours, it is ready to be mixed with soft spring water from nearby Black Hair Mountain (Kurokami-yama), along with a touch of yeast, which helps to convert the sugars into alcohol. This fermenting mash of ingredients is known as the ‘first moromi’. Koji is an essential ingredient in the production of shochu and helps to distinguish it from all other spirits. Black koji is more rich and aromatic than white koji, and is the same koji used in our 'Saga Barley' shochu. Using black koji here intensifies the richness and compliments the distinctive flavors of the green tea leaves. Black koji is cultivated over rice for 48 hours before its addition to the 1st moromi. AN AUTHENTIC SHOCHU IS NEVER INFUSED OR FLAVORED. 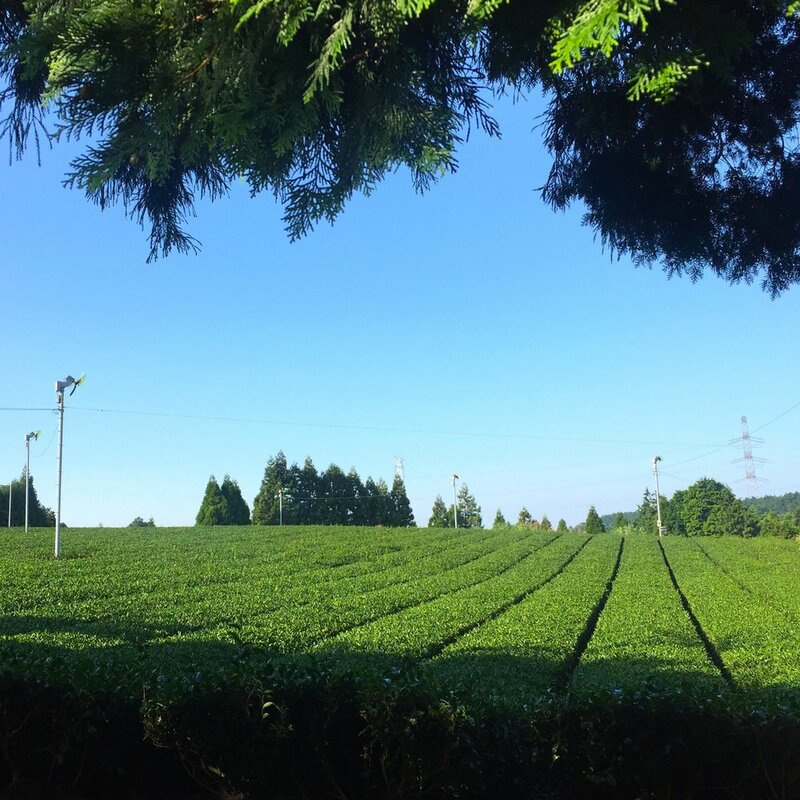 Freshly picked yabukita green tea leaves from Ureshino are steamed and immediately delivered to our distillery for their introduction into the second ‘moromi’ (mash). The leaves are co-fermented in the moromi, together with two-rowed barley and black koji rice, imparting the rich flavors of green tea. The mash is then distilled only one time in the traditional way to capture the natural essence of these local harvests. In keeping with the methods of ‘honkaku’ (authentic) shochu production, no additional leaves are added to the shochu beyond this natural fermentation process, and there are absolutely no flavorings used. Only a touch of pure, soft water from Black Hair Mountain is added to the finished distillate. A TRIBUTE TO SHOCHU OF OLD. 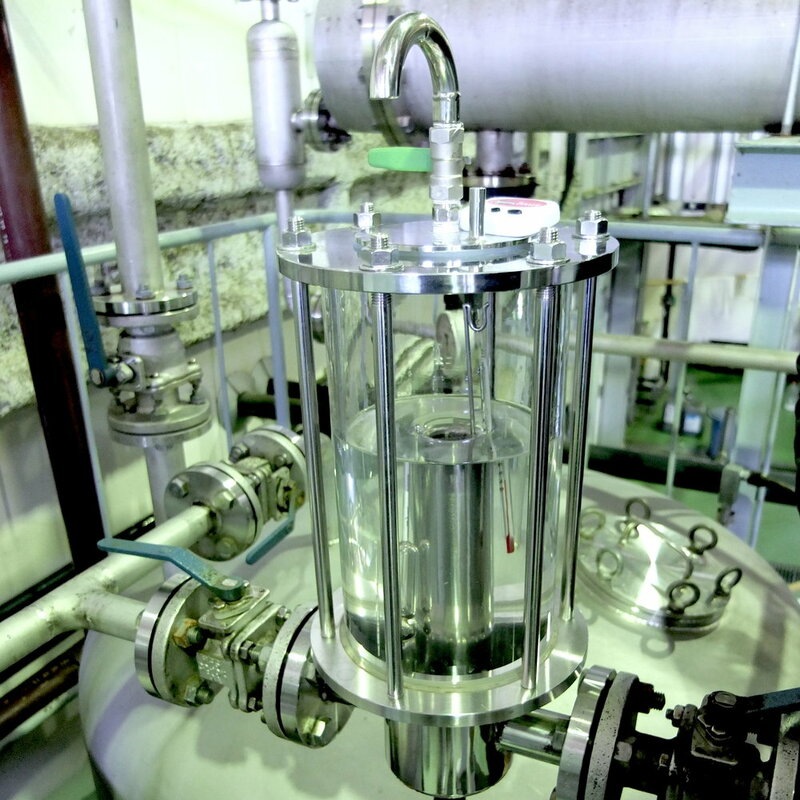 Upon completion of the second moromi, the mash is transferred to a stainless steel pot still for single distillation. It is here that the pure essence of barley, rice, black koji and green tea is captured in an unusually smooth and naturally tasty distillate that is 88 proof (44% alc/vol). This undiluted heart of the spirit is called the ‘genshu’, which is then left to rest and mature. The shochu is bottled in the boutique genshu style and is a tribute to the more concentrated shochus of old. Once our genshu has been fully mellowed it is slightly cut with soft mountain water to 70 proof (35% alc/vol) where the spirit finds true balance (contemporary shochus are typically diluted down to 50 proof). Produced only in small batches, the more concentrated genshu style delivers a spirit of greater depth and body. Heads and tails are removed, leaving the hearts or 'genshu' to be rested. FOR MORE INFORMATION, OR TO PURCHASE, PLEASE EMAIL TO INFO@MIZUSHOCHU.COM PRODUCED AND BOTTLED BY THE MUNEMASA SHUZO CO. OF ARITA, JAPAN. EXPORT / IMPORT BY NEHAN SPIRITS LLC. MIAMI, FL USA 35% ALC/VOL PLEASE DRINK RESPONSIBLY. ©2017 NEHAN SPIRITS LLC. MIZU, MIZUNOMAI AND 美鶴乃舞 ARE TRADEMARKS OF NEHAN SPIRITS LLC, ALL RIGHTS RESERVED.